Brrr. Winter is coming, and that can only mean two things: Game of Thrones season five has started, and it’s time for coat shopping for the kids. What better place to start than Purebaby, Australia’s answer to exquisite, organic children’s clothes. 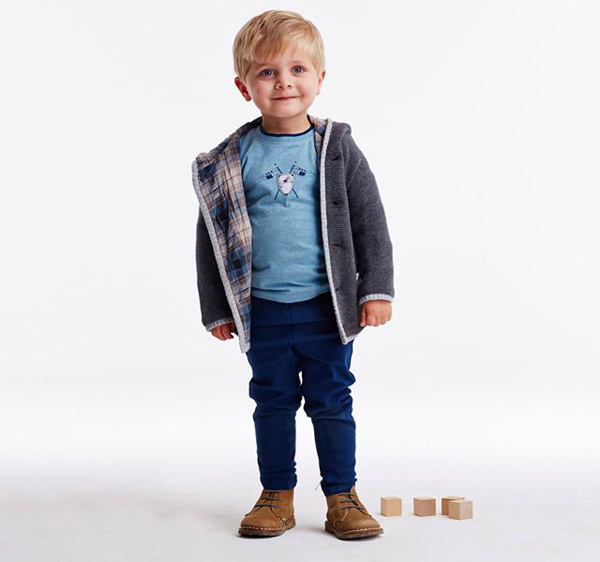 Purebaby’s vision is to create fashionable, affordable clothing for babies and toddlers without ever compromising social responsibility – a noble cause, if there ever was one. 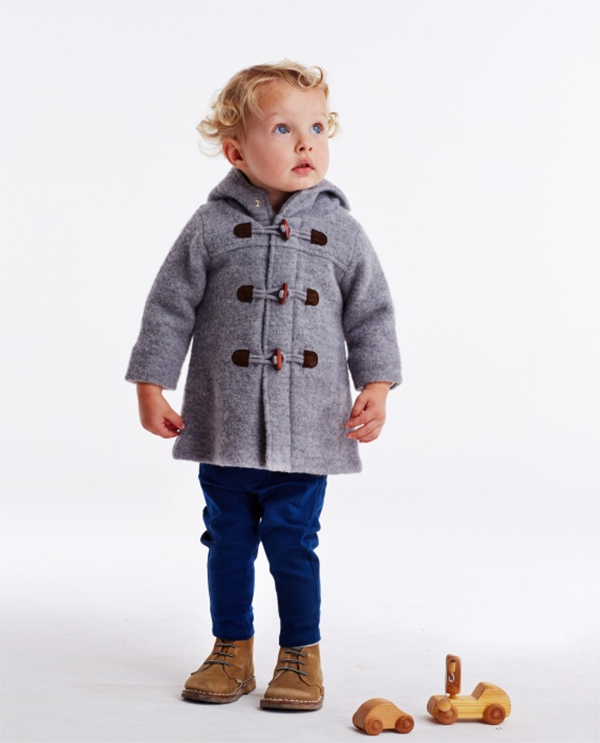 Purebaby’s winter coats are just what we expect; they come in versatile colours like shades of blue and red, and a cloudy day grey, guaranteeing that they can be paired with any outfit. 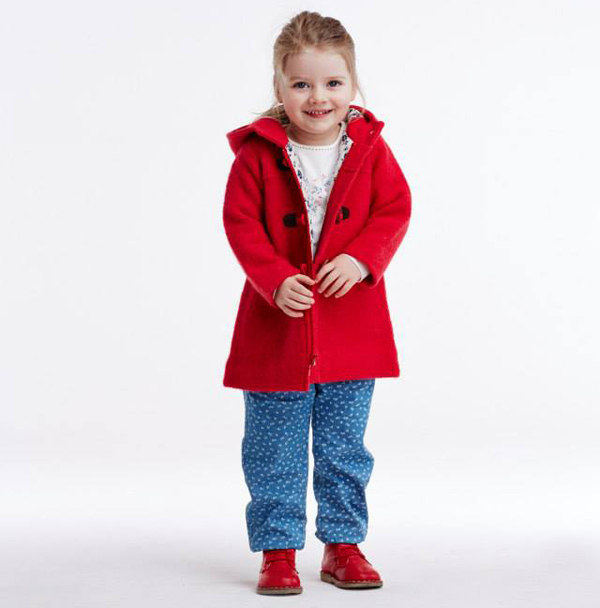 The classic shapes and excellent quality mean that the coats will last through many rounds of hand-me-down. Style doesn’t get much more classic than a duffle coat, and take it from us: it is impossible to resist a baby in a duffle coat ($99.95). Between the soft felted wool, the toggles that wrap the coat around their cuddly barrel bodies, and the gorgeous checked lining, you’ll have your very own squishy Paddington Bear. Winter coats need colour too, which is why we love the Lotus and Toile quilted jackets ($79.95). They’re made of organic cotton and bamboo twill, quilted for extra cosiness, and adorned with lovely patterns and sweet toggle buttons. Add the fact that they’re machine-washable and Purebaby has captured our hearts. 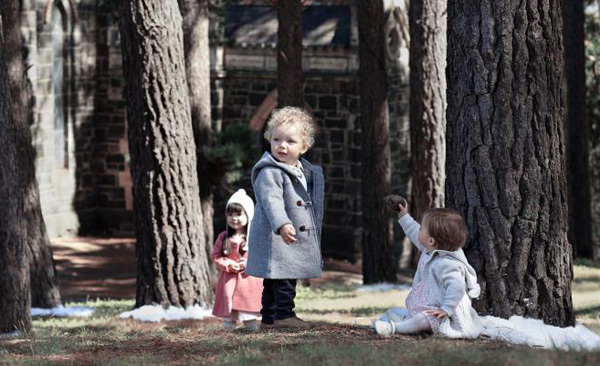 Perhaps the cutest coat in the collection is for the girls: the felted wool, swingy Camelia coat ($99.95). It’s got a pretty floral lining, and in that classic, goes-with-everything pink, she can wear it over leggings, a party dress or her favourite tree-climbing tomboy jeans. 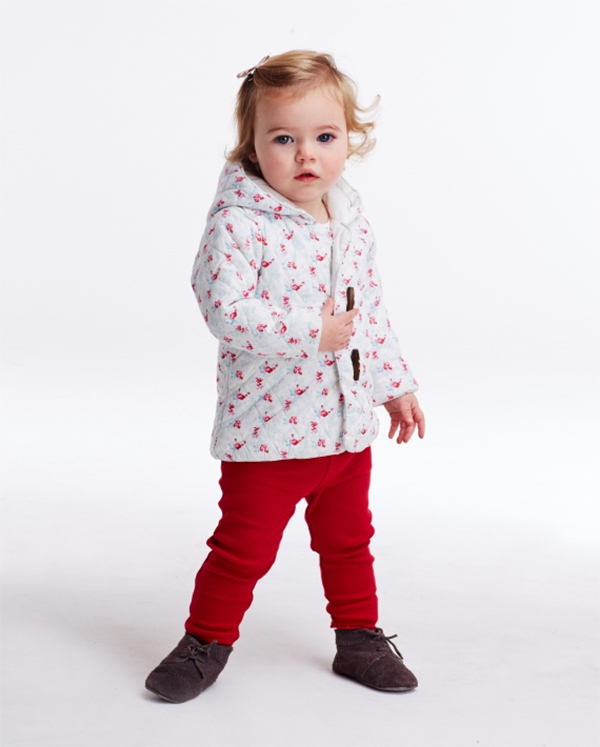 Blustery, grey weather may be on its way, but with Purebaby, our wee ones will feel warm and bright.